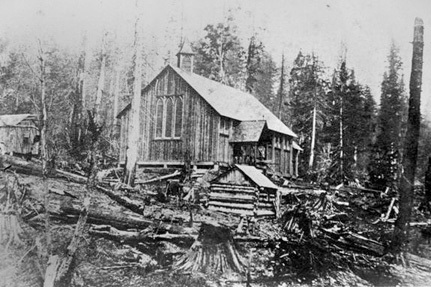 The first Anglican service in New Westminster was held on Sunday September 2nd, 1859 in the Customs House. The Reverend John Sheepshanks had arrived in the colony the previous month. The first of three Church buildings was completed the following year, was of wood construction and was destroyed by fire in 1865. The second building was built of stone and was consecrated on December 18th, 1867. 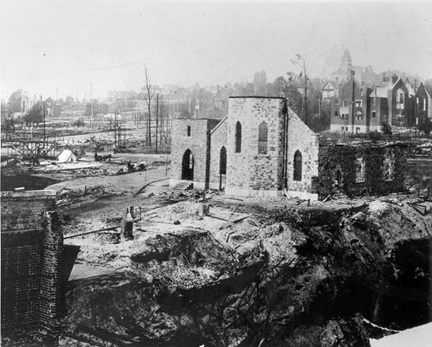 The first Bishop of the new diocese, The Right Reverend Acton Sillitoe and Mrs. Sillitoe arrived in New Westminster on June 18th, 1880 and this church became the Cathedral of the Diocese of New Westminster in 1892. This building was also ravaged by fire in the disastrous fire of 1898 which wiped out the greater part of New Westminster. Our current Cathedral is a reconstruction of the previous church, the walls and foundations of which were found to be sufficiently strong to be reused. The outside face had been so badly scaled with heat that it was necessary to cement the whole exterior with the exception of the tower. The nave was extended by 13 feet and the roof was simplified omitting the clerestory windows. 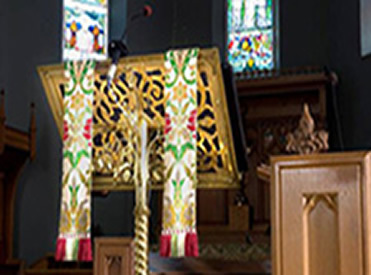 The restored church was opened for services on All Saint's Day in 1899 and by Easter, 1902 was declared free of debt and consecrated on April 3rd of that year. This Cathedral was the Cathedral Church of the Diocese until 1929 when Archbishop de Pencier designated Christ Church as his Cathedral. The Parish of Holy Trinity was bitterly disappointed and following a fight which lasted over a year and which threatened to be dragged before the Supreme Court, a settlement was reached which included the right of Holy Trinity to retain the title of Cathedral in perpetuity. Notable features of Holy Trinity Cathedral include the three stained glass windows in the apse, the work of local craftsmen, Henry Bloomfield and Sons. 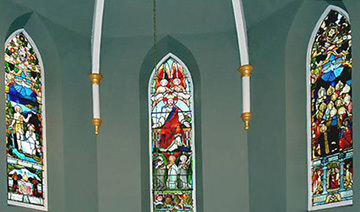 The left window is believed to be among the first depictions of First Nations people in stained glass. The right window was of gift of the Grand Lodge of British Columbia of which Bishop Sillitoe was Grand Chaplain. It contains symbols of the Masonic Order and represents the Holy Spirit descending upon the Apostles at Pentecost. The Bloomfield sons gave Saint Peter, the central figure, the face of their father, Henry. The central window represents Christ the King enthroned in glory. This window also contains a delightful blushing angel. A number of historically significant artifacts grace the Cathedral. 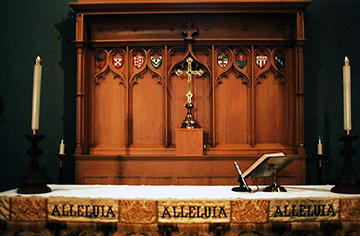 Ties to Westminster Abbey are represented by the pillared Credence Table in the sanctuary and the altar cross as well as the banner on the front of the pulpit. The brass lectern was a gift of the first Governor of the Colony, Sir James Douglas in 1875. This and other items were saved from the burning former building by the Rector of the day, the Reverend Shildrick. Monochrome images courtesy of Mr. A. Ellis and the New Westminster Public Library.